Adorable Grizzly plush toy is great to hug and to hold. Available at Miniso. Surprise your loved ones this Valentine’s Day with gifts of love from Japanese fast fashion brand Miniso. There are gifts to hug and to hold – cute and cuddly “We Bare Bears” plush toys –with valentine messages. These adorable Grizzlies, Ice Bears, and Pandas are great for bear hugs. 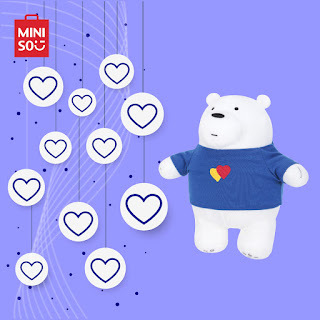 Valentine inspired Ice Bear plush toy available at Miniso stores nationwide. 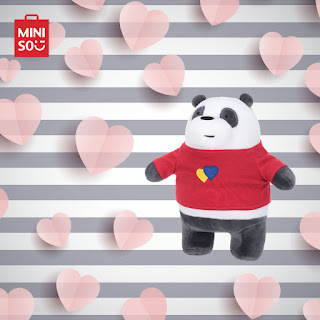 Feel the magic of love this season with this Panda plush toy in Valentine inspired shirt from Miniso. There are also exquisite and invigorating fragrances that express Perfect love, Immortal Romance and Lightsome Lady Perfume. There are also love-ly scents Sweet Girl, Romance Blossom and Elegant Perfume perfect for a romantic date night. SCENTS OF LOVE. Miniso’s Pink love, Lightsome Perfume and Immortal Romance fragrances have a sweet and exquisite scent. Available at Miniso. 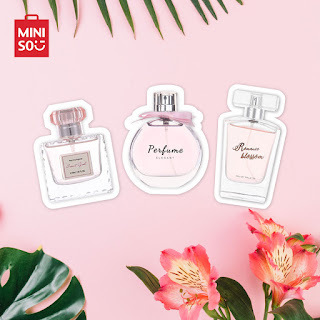 Miniso’s sweet and stylish fragrances. Romance Blossom for a rich refreshing scent; Sweet Girl is mild and tender for all-day use; while Elegant Perfume’s chic and fashionable scent is perfect for every woman. Spread the love this Valentine’s Day and check out these gifts of love at Miniso stores in SM City San Jose del Monte, SM City Marilao, and SM City Baliwag. Also, follow @MinisoPhilippines at Facebook for more stylistic gift ideas and updates. Micro drones are coming to SM!